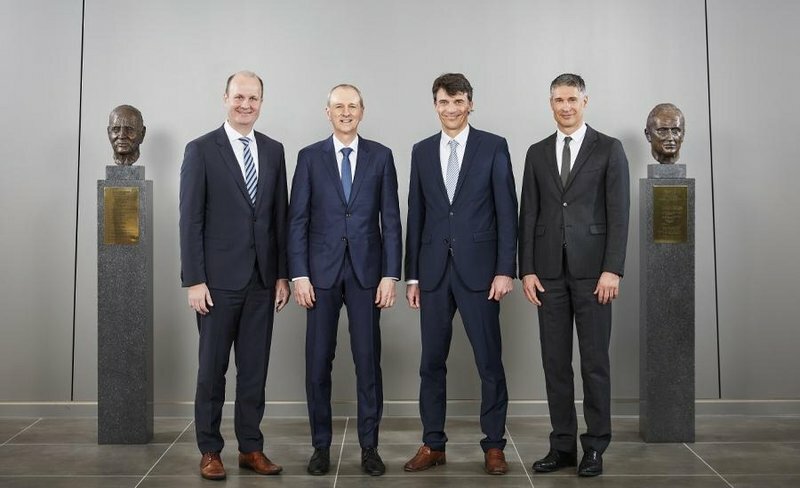 Within the GROB Group, the Sales Management Board enters a new generation. Christian Müller, President of Sales Americas, succeeds, and takes on the responsibilities, of long-standing Member of the Board & CSO Jochen Nahl. Jochen Nahl joined GROB in 2001 as Director of Sales, Project Management and Marketing and has been Chief Sales Officer of the GROB Group since 2003. The transition within the GROB Management Board, which is now complete, had been a long time in the making. On April 1, Christian Müller, long-standing Member of the Board & CSO for GROB Brazil and USA, who oversees sales in North and South America, succeeds Mr. Nahl as Chief Sales Officer of the GROB Group. Christian Müller, raised in Brazil as the son of Wolf Günter Müller, our Sales Director at B. GROB do Brasil for many years, was kind of destined for the GROB-Gen. He began his career at GROB in 2001 as a 25-year-old in the Project Management department in Mindelheim. Six years later, in spring 2007, he succeeded his father as Sales Director at B. GROB do Brasil and later formed, with Michael Bauer (CEO at B. GROB do Brasil), the third generation congenial management team. Through consistent marketing and sales measures, he was able not only to strengthen the GROB brand in Brazil, but also to win highly successful orders from the system business. His era also saw the extremely important realignment of the sales strategy through the introduction of universal machining centers. Not without its problems, since the Brazilian market for universal machining centers were inclined to demand 4-axis applications for production and Christian Müller, with his 5-axis universal machining centers, had a great deal of convincing to do. And in the years that followed, he worked very successfully with Michael Bauer on the realignment of B. GROB do Brasil and making the company more competitive. Because it takes a sure instinct to convince customers of the quality and outstanding technology of GROB products. In November 2014, Christian Müller became President of Sales Americas. The appointment served to strengthen the link between North, Mid and South America within the GROB alliance. In close collaboration with Michael Hutecker, CEO of GROB Systems, a strong focus was set in the USA on building a powerful sales team to expand the system and universal machining center business and also to establish the important new "electromobility" pillar with "local" orders. His wealth of practical experience in the automotive industry, and also in the universal machining center sector, makes him the ideal choice for the prestigious position at GROB of Member of the Board & CSO. Drawing on his many years of experience abroad, coupled with a perfect command of German, Portuguese and English, Christian Müller will be an excellent ambassador for the GROB Group among our international customers. At 43 years of age, he stands for the transition in the management of the GROB Group, which is a vital part of the incredibly important strategic realignment of our company. We would like to thank our former CSO Jochen Nahl for the long-standing collaboration and for his achievements. We wish Christian Müller, as his successor, much luck and prosperity in his new role.